The ultimate SDR bundle for USB On-The-Go applications. 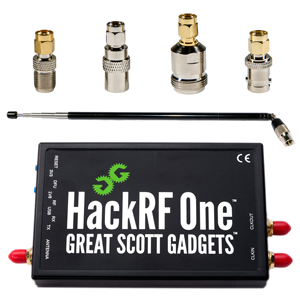 Includes NESDR Nano 3 in an anodized aluminum enclosure, nano-sized antenna, 4 USB OTG adapters. 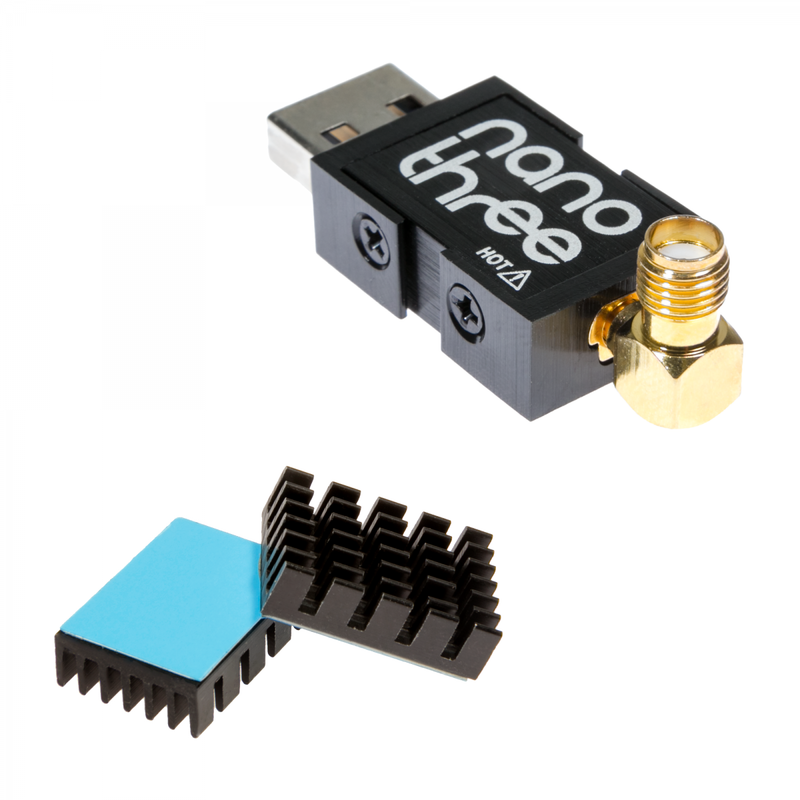 heatsink and an articulating adapter for SMA antennas. Full 2 Year Warranty! Assembled in the USA. 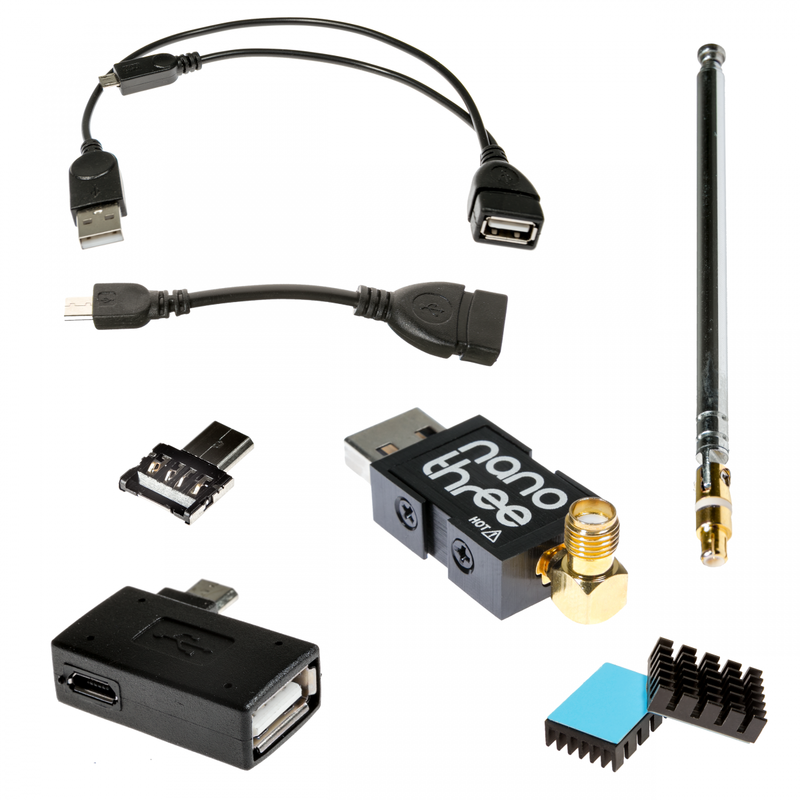 The NESDR Nano 3 USB OTG bundle includes everything you need to get started with mobile SDR with your existing USB On-The-Go compatible device! 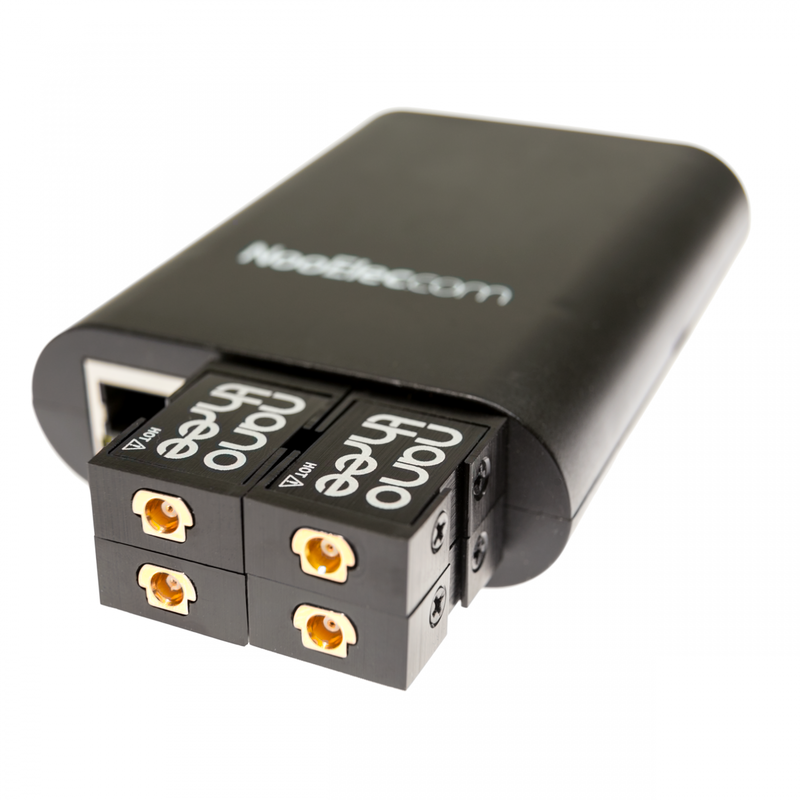 The NESDR Nano 3 is compatible with most host devices, including Windows, Mac OS X, Linux, Android and Raspberry Pi. 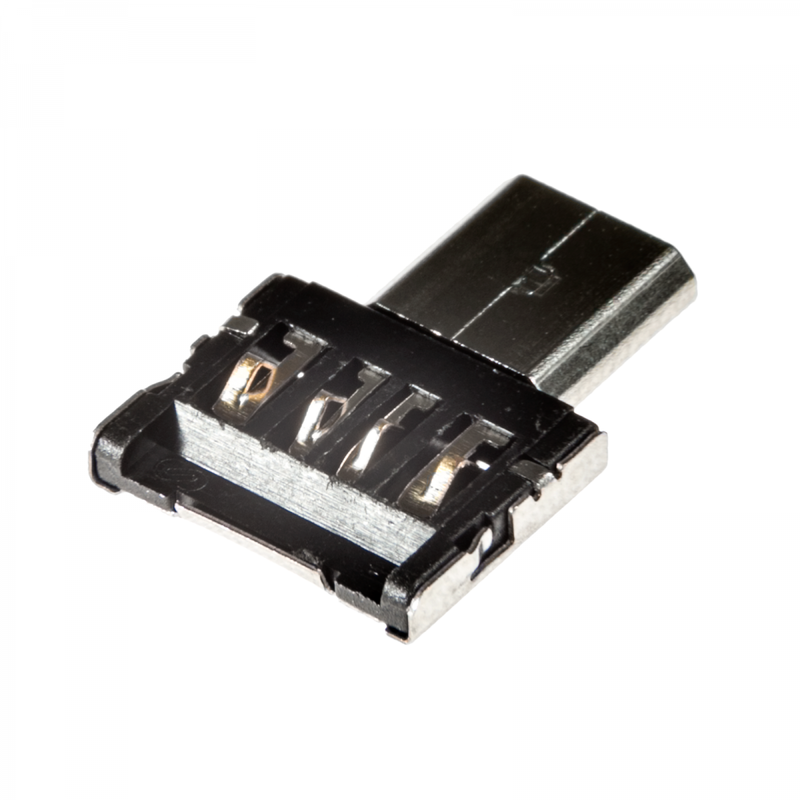 The included accessories allow for a wide variety of installation and configuration options. 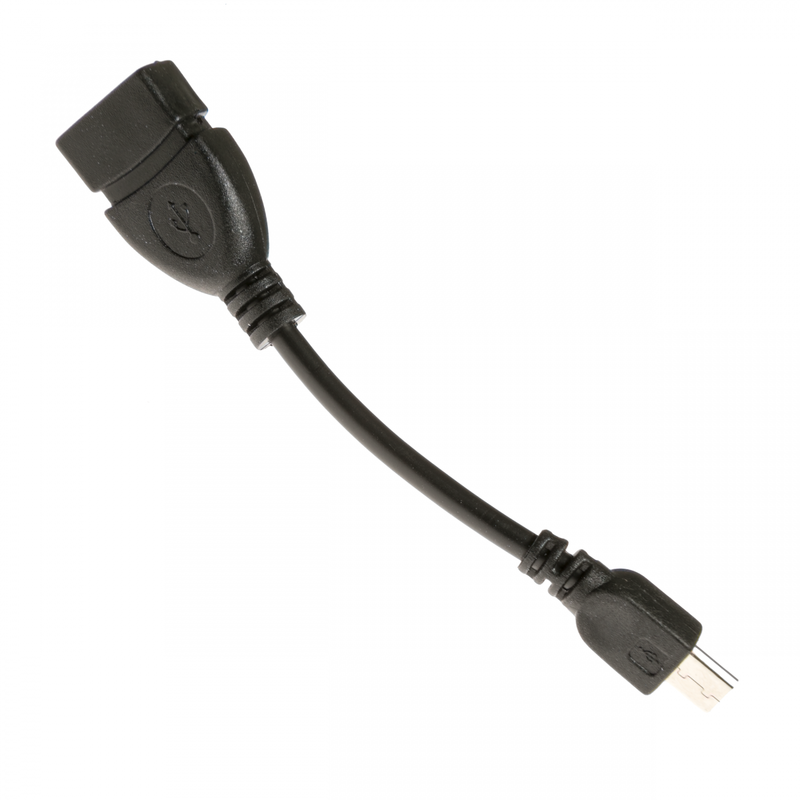 The included Y-cable and Y-adapter will allow for an auxiliary power source to be connected (USB charger or additional battery) to provide power to the SDR and prolong the battery life of your host phone or tablet. 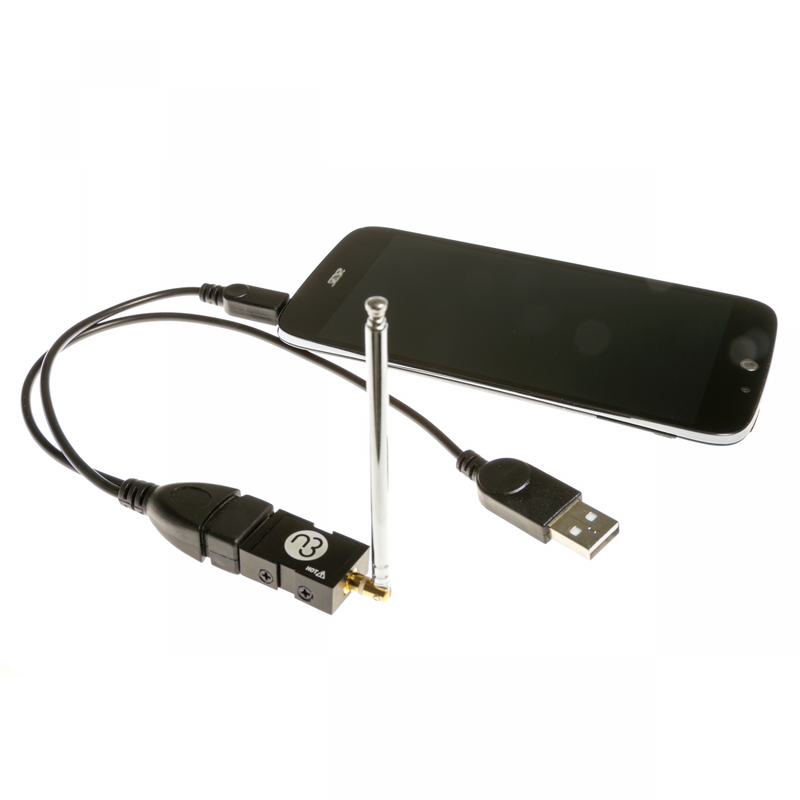 The nano-sized USB OTG adapter & antenna allows for the smallest possible installation footprint of any SDR available anywhere. NOTE: Please verify compatibility! 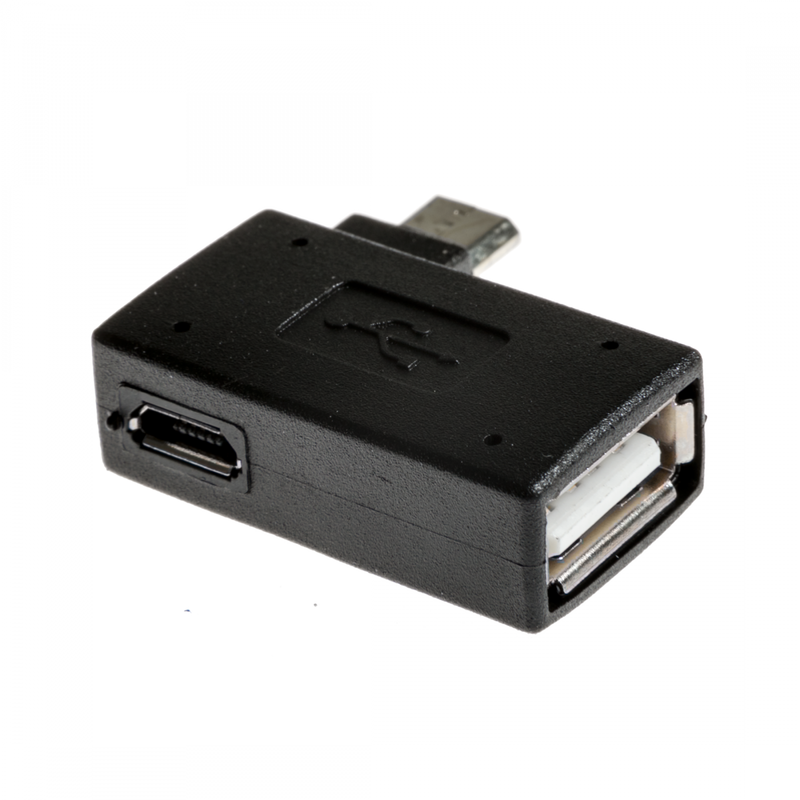 For USB OTG usage, you will need a host device with USB OTG support, Android 3.1 or higher, and a microUSB port. Say goodbye to blocked USB ports! 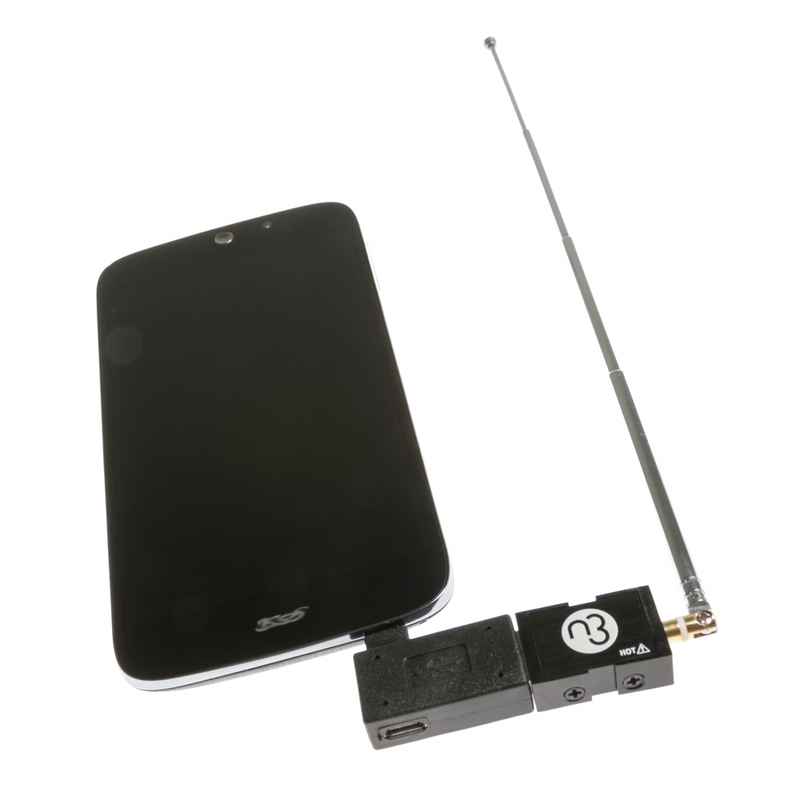 The tiny NESDR Nano 3 is the ideal SDR for portable and embedded applications. Quad SDRs on a Raspberry Pi? 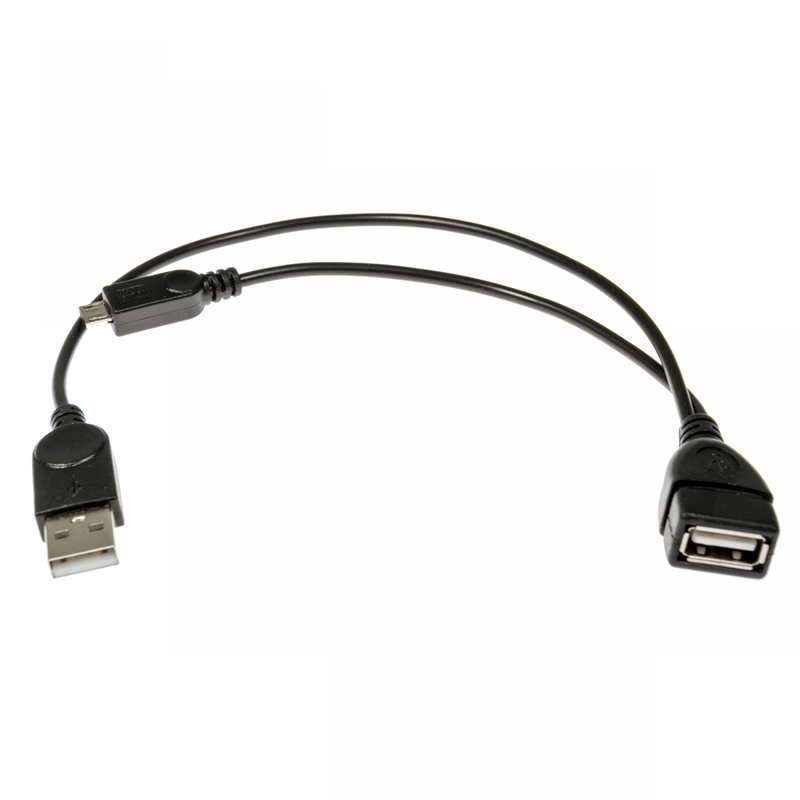 USB OTG? Not a problem for the NESDR Nano 3! 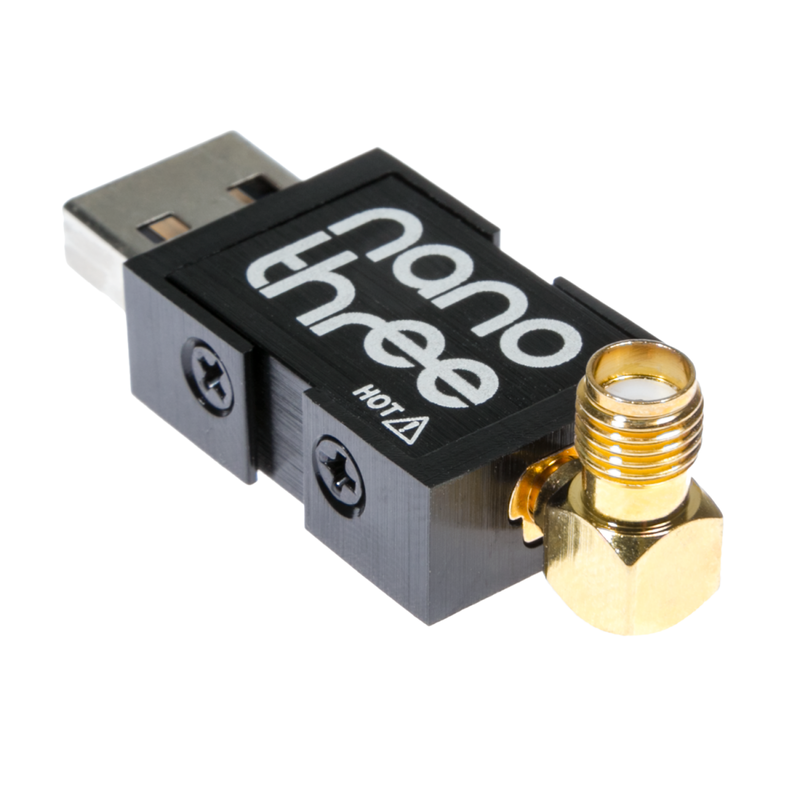 The Nano 3 is just 17mm x 8mm x 20mm weighs only 15g! 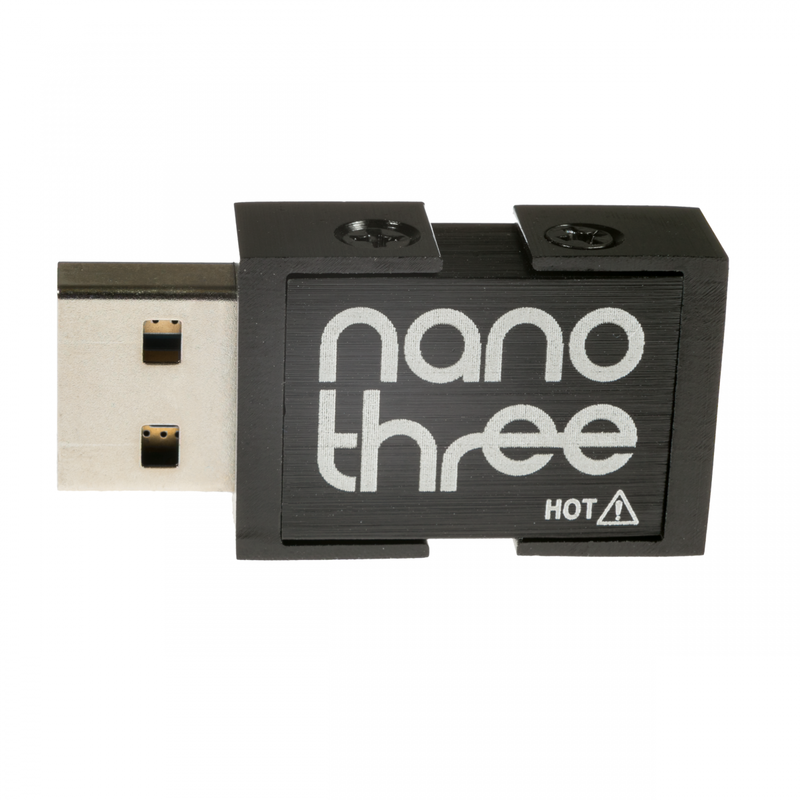 The Nano 3 is built into a high-quality brushed aluminum enclosure. 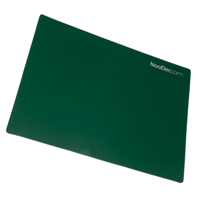 In conjunction with the 2 internal silicone heat pads, this ensures that heat is removed from board-level and to the exterior where it belongs. 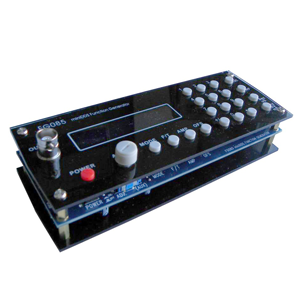 The aluminum enclosure ensures that EMI is kept out out of the sensitive SDR circuitry, and emissions from the digital circuitry are contained within the SDR enclosure. The latter is especially important in EMI sensitive environments like automotive and flight applications! 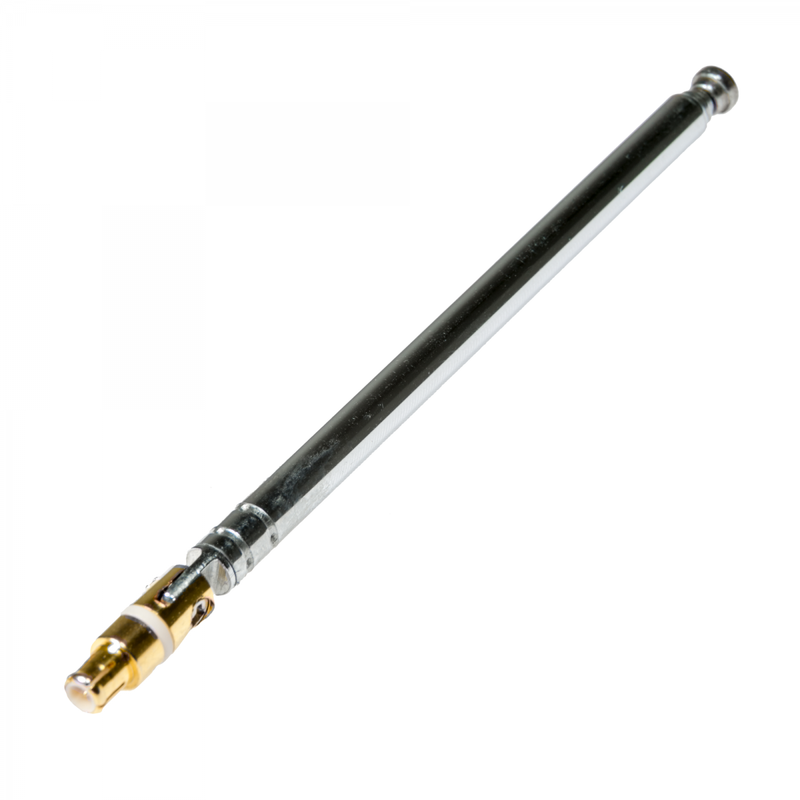 An articulating, right-angle female SMA connector is included to allow you to attach both male SMA and male MCX antennas directly to your SDR. 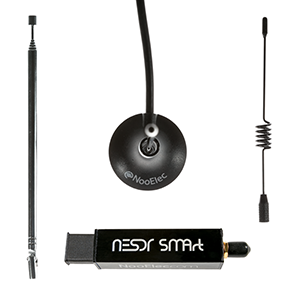 The NESDR Nano 3 contains the same custom TCXO we include in our NESDR SMArt series. 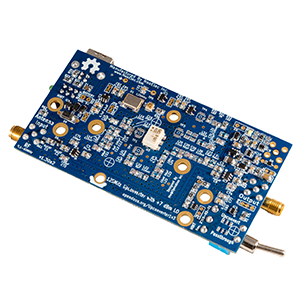 This 0.5PPM, ultra-low phase-noise TCXO is by far the highest performance TCXO available in ANY low-cost SDR. 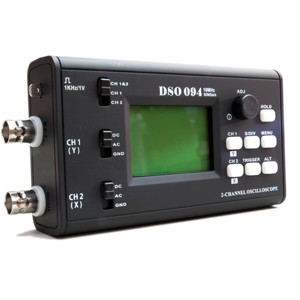 We are so confident of the reliability and stability of this SDR that we offer a full 2-year warranty--the longest in the industry. CAUTION: The enclosure will get hot! This is by design, and will not affect performance of the SDR. Please be cautious when touching the SDR after prolonged usage! 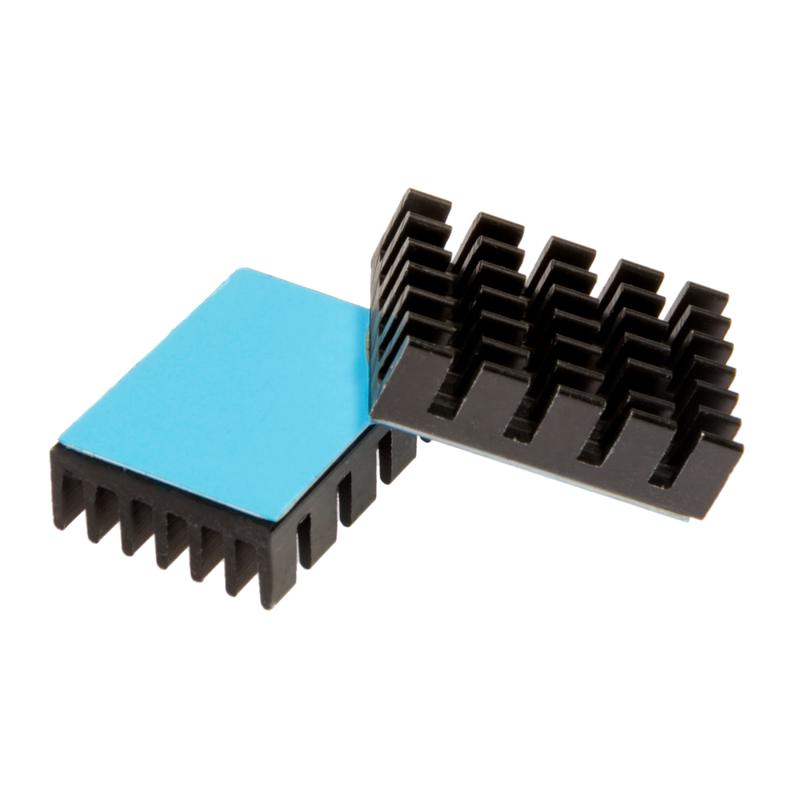 A custom heatsink, which can optionally be affixed to either side of the SDR to further improve heat dissipation, is included with your purchase. 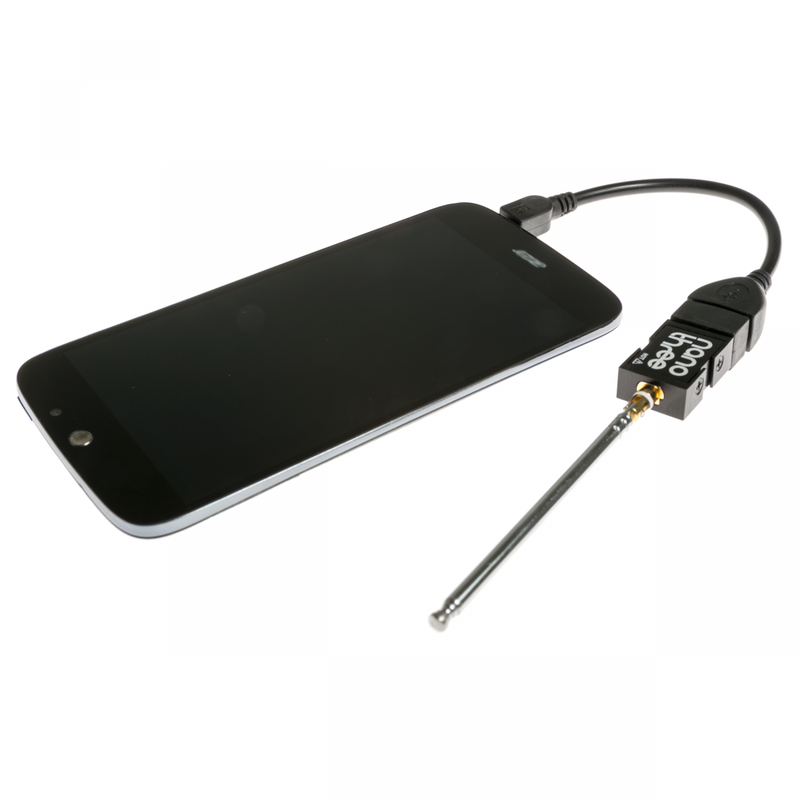 This RTL-SDR is based on the R820T2 tuner IC made by Rafael Micro, which means an approximate tuning range of 25MHz-1700MHz . 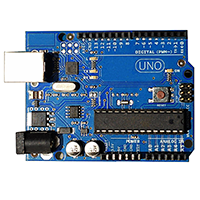 There is also an RTL2832U IC on board to provide basic demodulation and USB interface functionality. 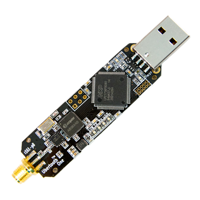 Full compatibility with a wide variety of popular SDR software packages, such as Matlab, CubicSDR, HDSDR, SDR Touch, Stratux and Planeplotter; for Windows, Mac, Linux, Android & Raspberry Pi. 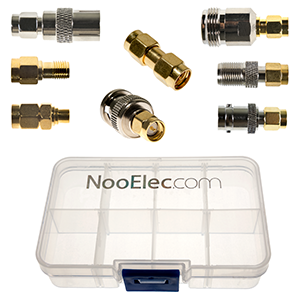 Includes anodized aluminum enclosure, heatsink, articulating adapter for SMA antennas, nano-sized antenna and 4 USB OTG adapters.